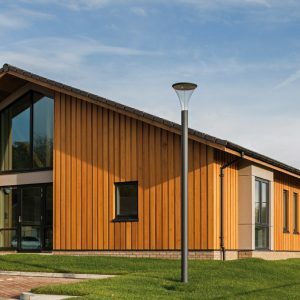 A bespoke office for the UK's leading timber supplier. 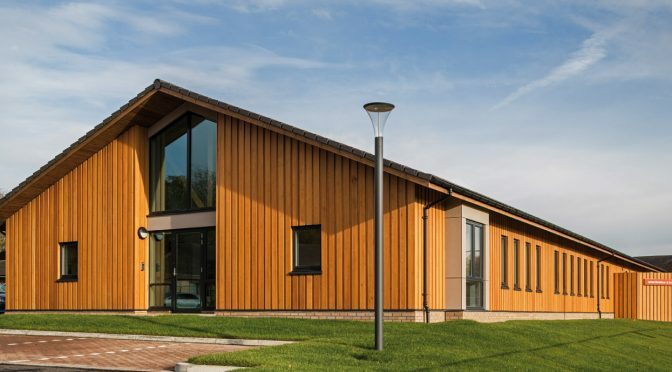 This project involved the creation of a bespoke office building for a respected family-owned company within an existing business park in Glenrothes. 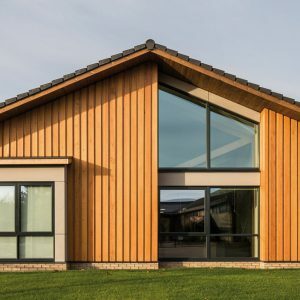 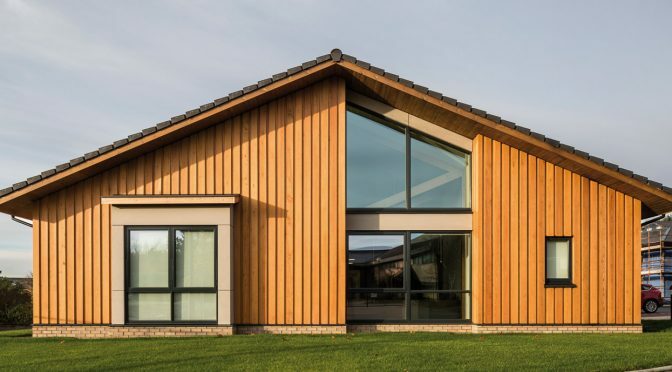 Our design sought to balance the existing aesthetic of this context with a new headquarters building of appropriate character for one of the major players within the UK timber industry. 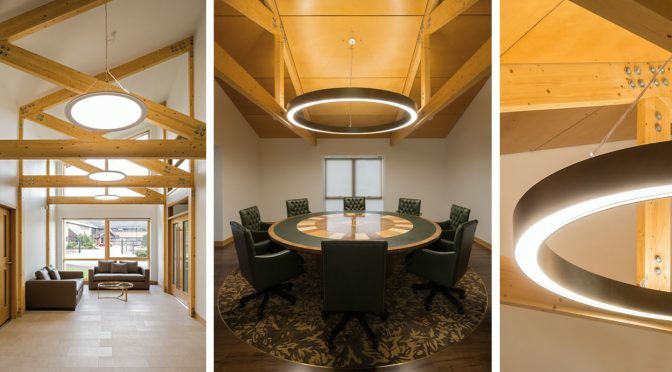 The key intention was to provide a building celebrating the company’s tradition in the use of timber while creating a unified internal space responsive to the ongoing needs of our client’s business. 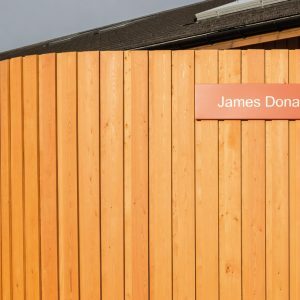 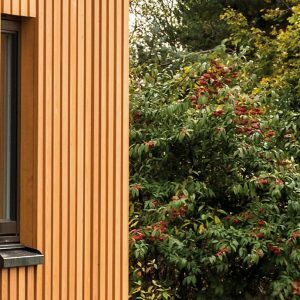 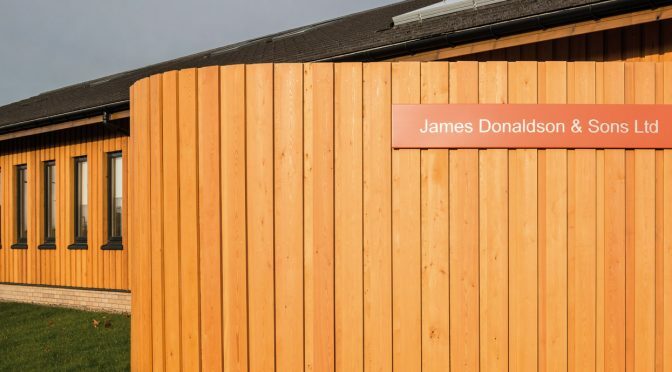 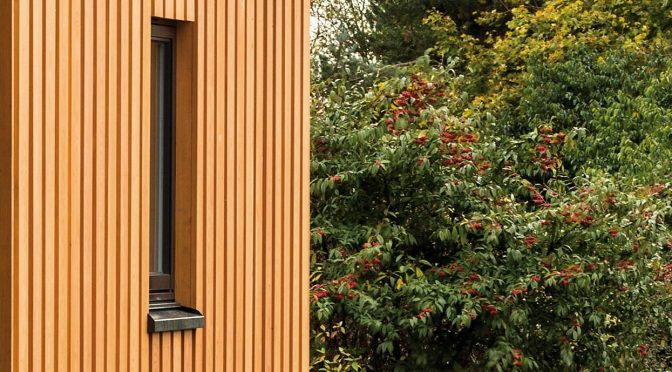 Externally a restrained, clean design utilising high quality coated larch cladding gives a subtle contemporary feel to the building. 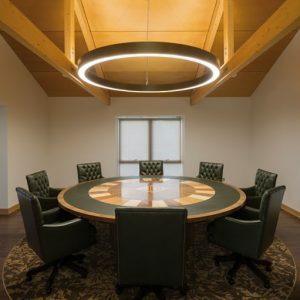 The internal arrangement is organised around a central circulation spine which changes in character as it moves through the building, linking together a series of bright, spacious workplaces and meeting rooms providing a positive, inspiring environment in which the company can continue to operate.